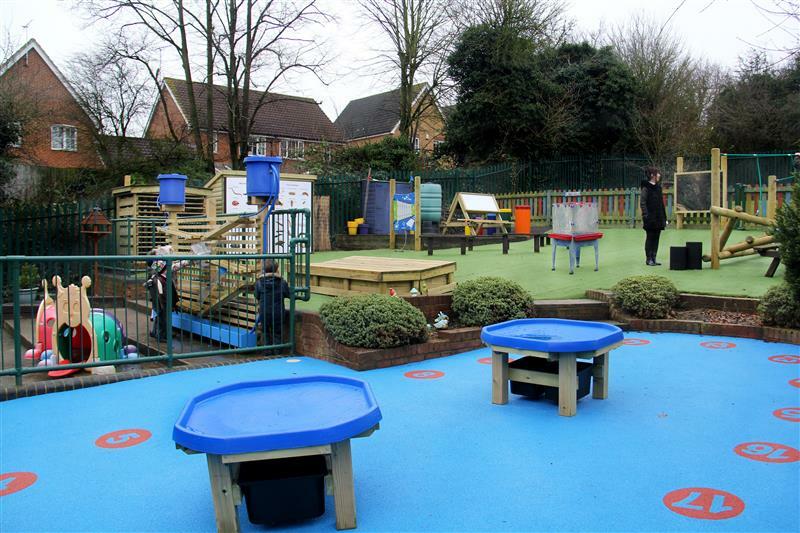 Our South Director and Outdoor Learning Consultant, Sam Flatman met with Dawn (Laindon Park Primary School’s Business Manager), to discuss ways to develop their early year's outdoor learning environment. The early year's space was a key part of their school improvement plans, especially since the area had been identified during a recent school inspection. 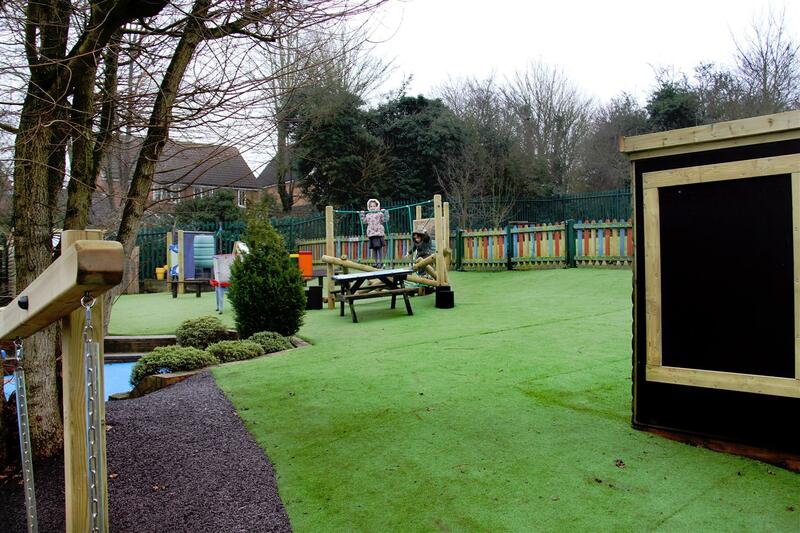 This was mainly due to the area becoming outdated without any new inspiration for teachers and children to experience engaging outdoor play. During wet weather conditions, the area became unusable due to the wet grass causing potential slip hazards. 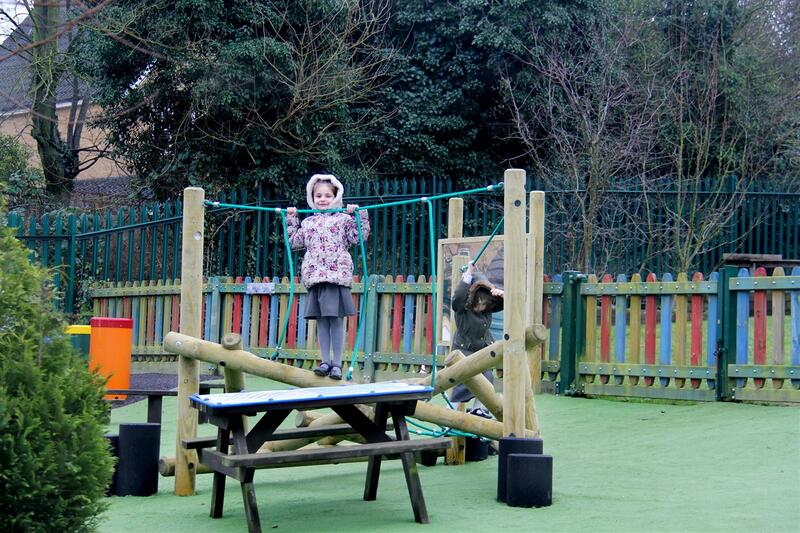 It also lacked playground equipment that was cross-curricular and overall offered limited opportunities for both creative and physical play. 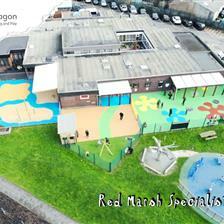 With so many key issues to overcome, we agreed with the school to develop two spaces within their school grounds. 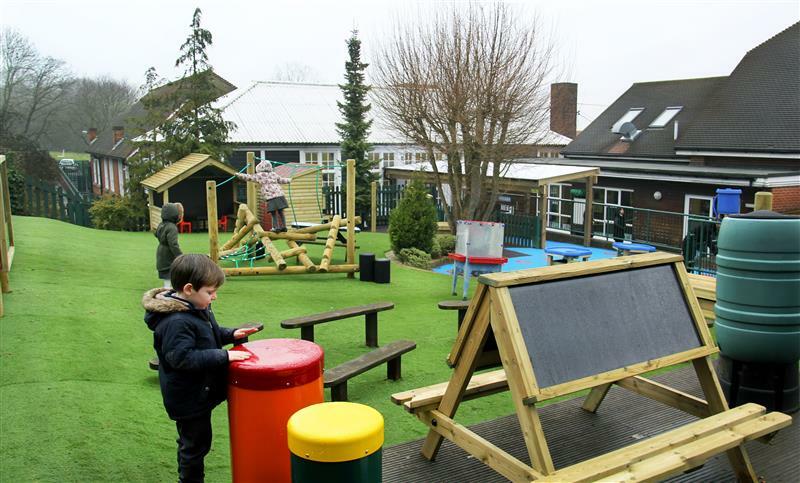 "It was all about inspiring the school so that they could see what each space could ‘give’ to their children’s learning and development." 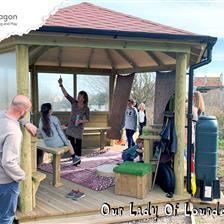 When we look to develop an outdoor early year’s space, we use our combined educational experience combined with our practical knowledge and understanding of our resources to create learning environments which work – both from the curricular point of view and in terms of its day to day use. By having this close relationship with the school, Sam could create and design a plan that eliminated the playground’s major issues and introduce outdoor resources that would engage children in new and exciting styles of learning. 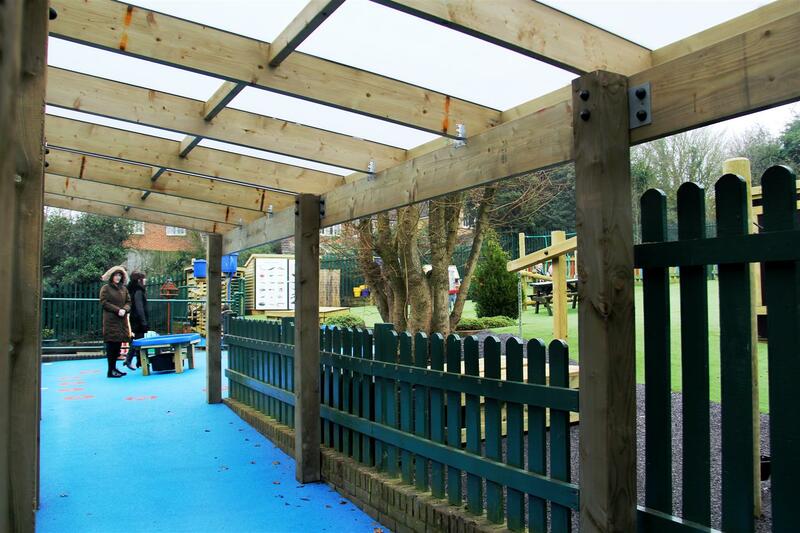 • To provide free-flowing play from inside the classroom to the outdoors, we installed a robust Timber Canopy to the school building. The canopy creates the perfect ‘bridge’ from the inside to the outside. • We re-surfaced the area with Playturf and Wetpour surfacing to ensure the area could be accessed and used in all weather conditions. 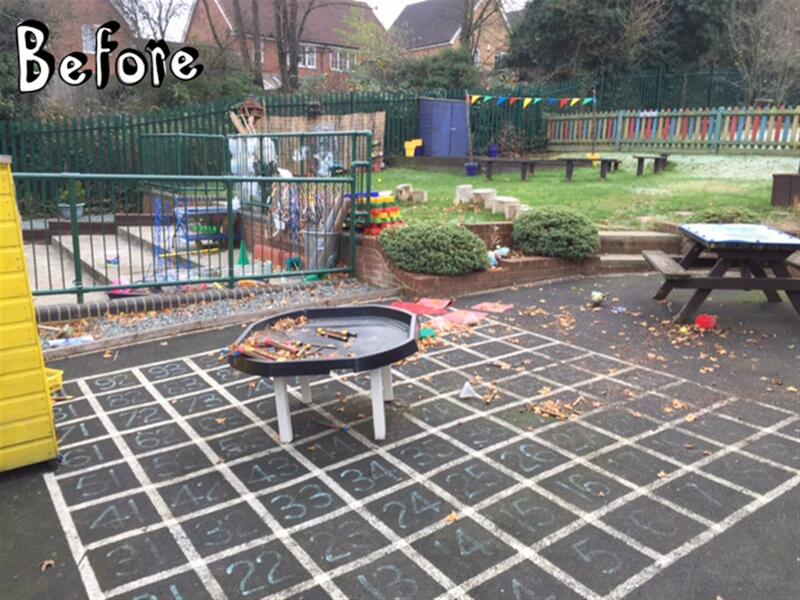 Moreover, we transformed the playground surface into a learning resource with the addition of a roadway and 0-20 markings for mathematics. 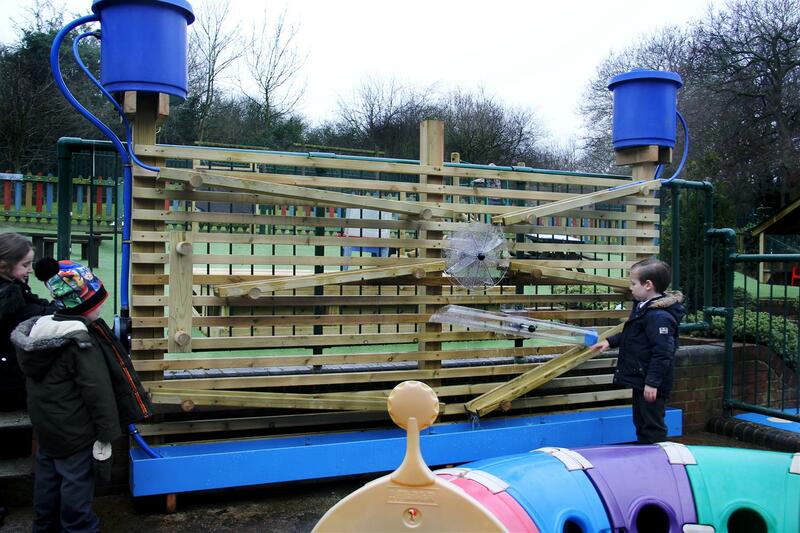 • To provide the children with further opportunities for physical development (climbing and gross motor skills), we installed our challenging Cheviot Log Climbing Frame. This is an excellent resource for building children’s climbing confidence and overall body strength. • We added walk-in storage units to provide children with an area to self-select their loose play activities. 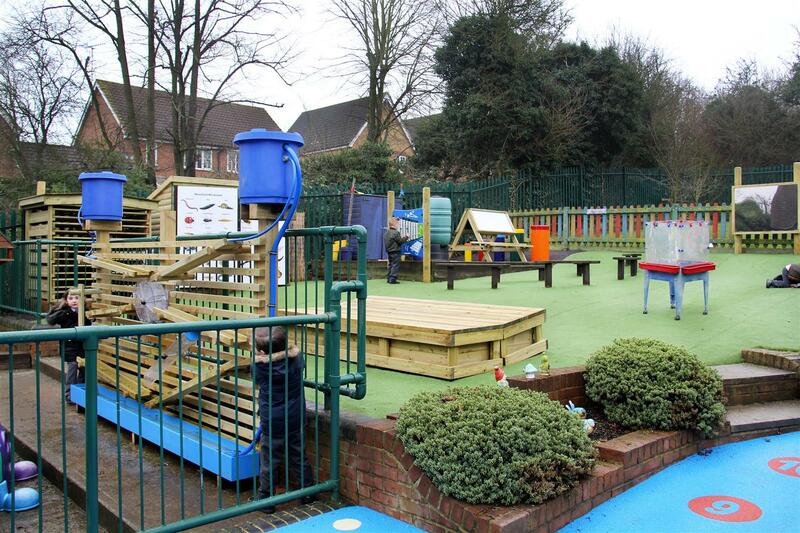 The playground storage units will keep things dry, neat and tidy, alongside being child-friendly. They also include mark making boards to aid communication, language, and literacy. 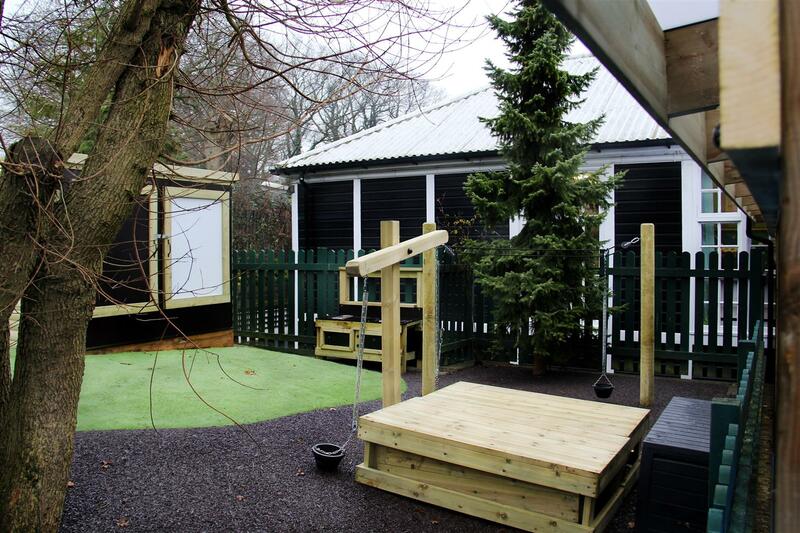 • For Role play (P.S.E.D), we added our Giant Playhouse due to it being a fantastic open-ended resource, offering flexibility to children’s play and activities. One day it could be transformed into a café while on another day, children could turn it into a fire station… the opportunities are endless. • We enhanced the schools existing stage with musical items (African Drums & Glockenspiel Panel) which will further support expressive arts and design alongside communication. • Finally, the school wanted apparatus to encourage teamwork and scientific thinking. We offered the perfect solution with our magnificent Water Wall and Tuff Spot Tables. When using the Water Wall, children can learn about the water cycle and other fascinating scientific topics. 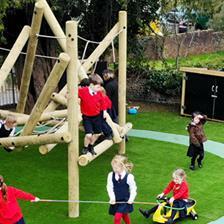 Are you looking to develop your outdoor learning environment with a trusted supplier who will understand your needs? Simply fill out our Contact Form and we will be in touch to book a free consultation. Also, feel free to ask any question on Live Chat where our Sales Support Offcier Liz, will be more than happy to answer any queries you may have.